Once a month, Pastor Joe Evans and Music Minister Jerry Rankin of Judson Baptist Church hold a worship service for the residents of Morning Pointe of Brentwood (TN). However, during their most recent visit to the assisted living and Alzheimer’s memory care community, Evans and Rankin were not alone. 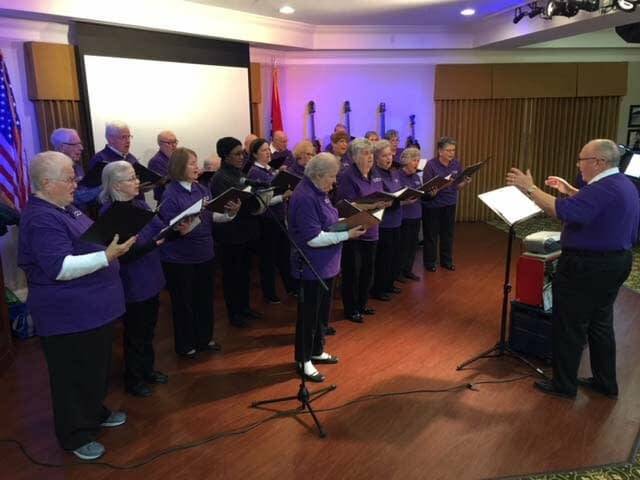 As an added bonus, Judson Baptist Church’s senior ministry singing group, the Jewel Tones, joined Evans and Rankin to entertain and inspire Morning Pointe’s residents. If you are interested in volunteering with Morning Pointe of Brentwood, contact Chris Phillips, Regie Ragland, or Cindy Colton of the Life Enrichment Team by phone at (615) 285-3455 or by email at brentwood-led@morningpointe.com.